If a disease is spread from person to person, and that disease is preventable in an individual by vaccinating them, as more people get vaccinated the germs that cause those diseases run out of places to survive and thrive. Then, if the vaccine causes long lasting immunity in the individual (as they do with diseases like measles and polio), and if enough of the population is vaccinated, even the people who are not vaccinated can be protected by their community. If you don’t catch a disease, you can’t pass it on. This does not apply to all diseases. Tetanus for example, lives in the soil so you don’t catch it from a person. It is such a powerful mechanism though in the right circumstances that it can lead to the control and eradication of disease – such as with smallpox, and polio. When enough of the population is immunised, germs that cause vaccine preventable disease cannot find anyone to thrive and multiply in. If this happens the germs cannot spread, cannot find anyone to infect, and cannot cause disease. 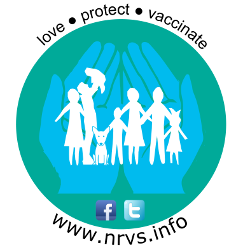 This then means that everyone in the community is protected, even those who cannot be immunised because they are too young or too sick. It also protects those who have not yet completed the whole course because of their age. 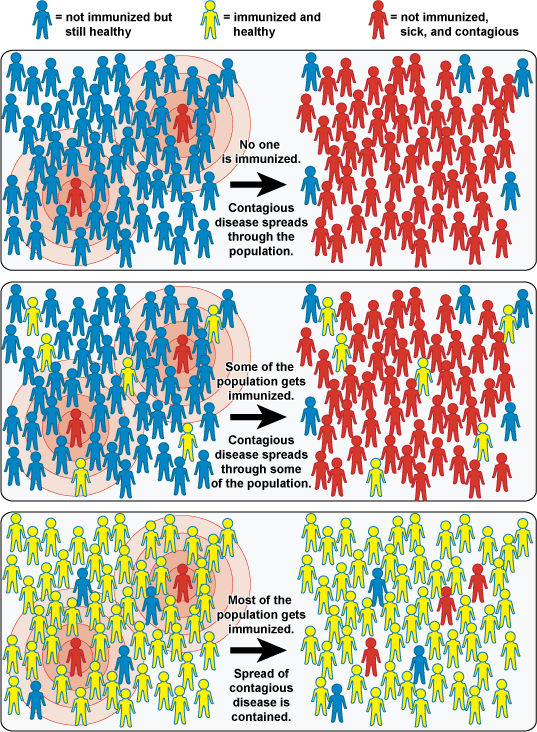 In some cases, where humans are the only known reservoir or host of a particular vaccine preventable germ, herd immunity can mean that a disease can be totally eradicated, and then no one would ever be at risk of that disease again. As an example, smallpox no longer exists and we no longer need to get vaccinated against it because of a global vaccination campaign and the science behind herd immunity. Through this mechanism there is a very real possibility polio could be eradicated within our lifetimes. For more information about polio eradication, have a look at these 10 facts described by the World Health Organization. Different diseases and different vaccinations have different levels of safe herd immunity, depending on how effective the vaccine is, how long its effects last for, and how contagious the disease is. For most diseases somewhere between 80-95% of the population need to be vaccinated to protect the vulnerable. This is known as the herd immunity threshold. Vaccination does not work as a total ‘force field’ around someone. Instead it primes the body’s immune system to recognize germs, so that if encountered in real life, the body is ready and strong and boosted and prepared to fight off disease. Each dose of a vaccine strengthens this response, and some vaccines need a course of doses to ensure adequate protection. If you are incompletely vaccinated, or immunocompromised, whether through choice or through age or through illness, you are dependent on herd immunity to protect you. It is vital that it is children that are amongst the most highly immunised. Day care, pre schools, schools, kindergartens, and play groups are all places where people meet up and mingle in groups. And children share their germs far more than adults do, which is why we all know that infectious gastro (for example) ‘spreads like wildfire’ through pre-schools, but not so much amongst Rotary club members. It is also in childcare centres and kindergartens that there are lots of children who are incompletely vaccinated because they are too young to have completed the course, and it is there that kids have baby siblings who are too young to have been vaccinated at all. In the event of an outbreak due to certain vaccine preventable diseases, unvaccinated children may be asked to stay away from school to prevent further spread of disease, and to protect those who are undervaccinated or susceptible to disease through no choice of their own. If enough of the population refuses to immunise themselves and their families, you can get clusters where there are very low vaccination rates, and then pockets of disease can start up, and in this way epidemics can be triggered. 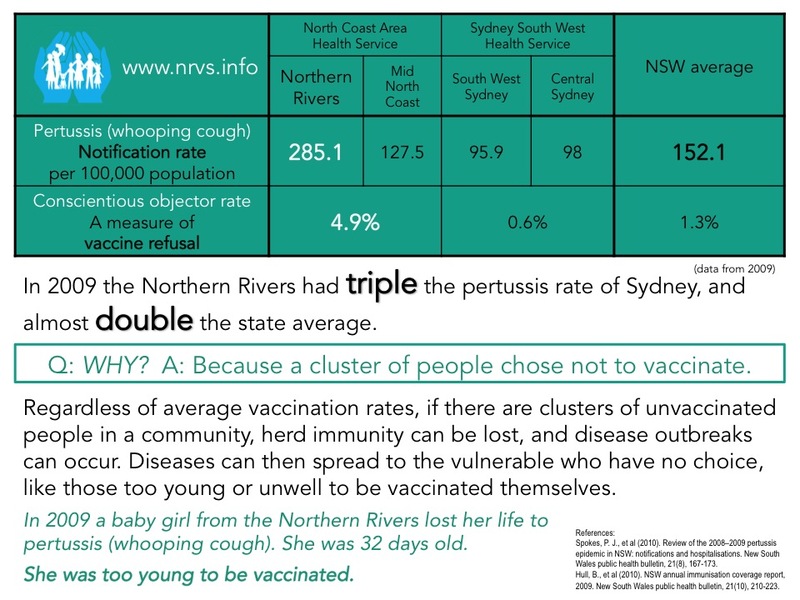 In the Northern Rivers of Australia, the number of people refusing vaccination has meant that we are below the herd immunity threshold for some diseases. This means we are now at real risk of epidemics of preventable infectious disease, and already have higher than necessary rates of vaccine preventable diseases in the area, as demonstrated by this data from 2009. Here is a Chain of Protection video. An easy to understand animation from Harvard Medical School. 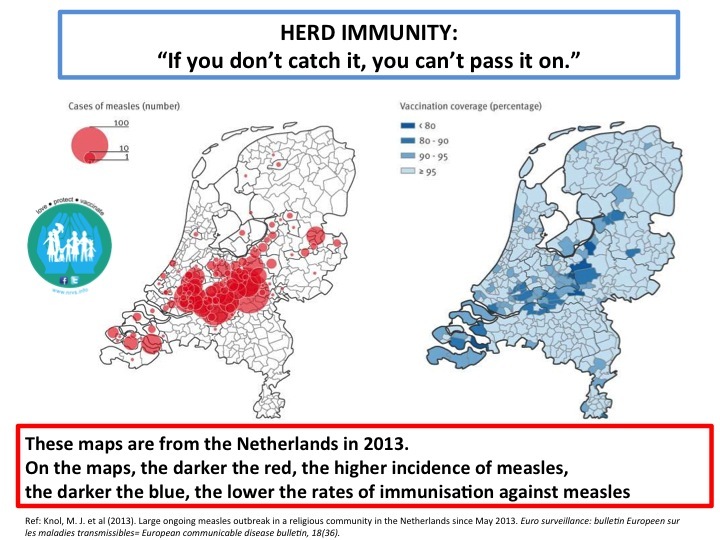 An animation demonstrating how measles spreads through communities with different vaccination rates.